English courses at Merredin College focus on developing students’ analytical, creative, and critical thinking and communication skills in all language modes. 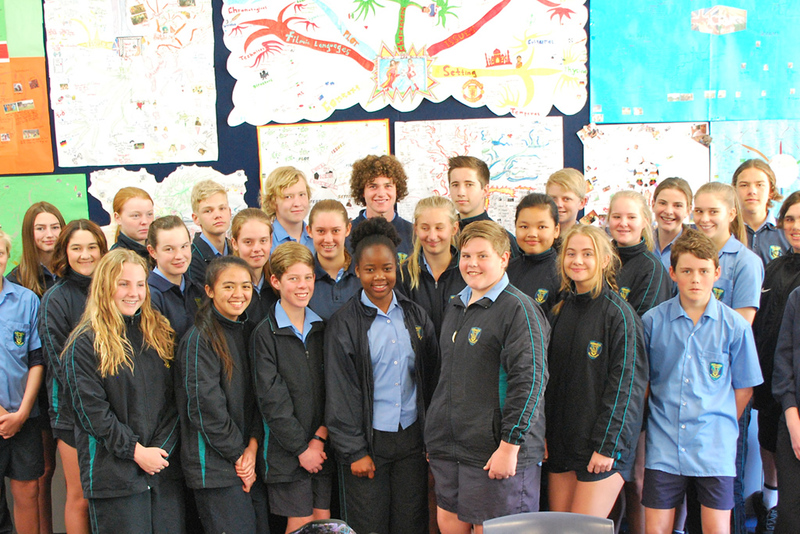 Our programs are designed to develop and hone literacy, to critically engage with texts from the past and present from Australia and other cultures, enhance students’ learning in other curriculum areas, and provide them with the critical thinking abilities and communication and language skills necessary for active participation in all facets of life and society. Our English courses are designed to develop students’ facility with all types of texts and language modes and to foster an appreciation of the value of English for lifelong learning. All classes in K-2 have a dedicated Literacy Block for explicitly teaching literacy skills. We have a focus on oral language and phonemic awareness and use a number of literacy programs across all classes in the junior primary age group. These include Jolly Phonics for developing letter/sound and phonics skills; Words their Way and Sight Words lists for spelling; Talk4Writing which uses oral language to develop writing skills; and a standard scope and sequence to maintain high expectations for all students. All students have a Reading Eggs subscription which is accessed in class and available for home use. We introduced MiniLit in 2016 to support students in the early years to ensure all students have the opportunity to meet expected levels. All classes in Year 3-6 have a dedicated Literacy Block for explicitly teaching literacy skills. We use a number of literacy programs across all classes in Year 3-6 including Words their Way and Sight Words lists for spelling; writing frameworks to develop writing skills; and a standard scope and sequence for teaching to maintain high expectations and cover genres for all students. Lower secondary English students study a common assessment program across all years from 7-10 which incorporates a study of a range of text types and language modes. The Lower School English programs for Years 7-10 are based on the three interrelated strands of the Western Australian Curriculum: English. The strands of language, literature and literacy are grouped into sub-strands as indicated in the table below. Grades achieved by students in Year 10 assist teachers in determining recommendations for subject selection in Year 11. For further information, please access the link to the School Curriculum and Standards Authority (SCSA) website shown on this page. Units 1 & 2 in Year 11 and Units 3 & 4 in Year 12. For students who have not satisfied the Online Literacy and Numeracy Assessment or OLNA requirements. For Special Education Needs students. Information about these courses can be found on the School Curriculum and Standards Authority (SCSA) website. Please use the link provided on this page.